← Are YOU a Twit on Twitter? Have YOU been approached lately? I’m making unbelievable gobs of money everyday and I’ll show you how to do the same if you will simply … give me lots of your money, I’ll reveal the secrets of how I do it so you can join me here on the beach of prosperity with all of our expensive toys and never really work another day of your life because you just got rich quick like me and there’s only room for a limited number of us here so do it now and you won’t be one of those poor fools that missed the boat because there’s only one and remember that we’ll never reveal the secret again so you must join us now so we can lock it away and you’ll never have this opportunity again so act now and oh by the way if you do we’ll give you an unbelievable gob of bonuses that are worth many times more than the lots of money you are going to give me so you’re really not spending anything so you can consider that I’m paying you to come on board and you don’t want to be a fool and pass up this once in a life time chance to be rich and prosperous and in addition here are all my friends that will tell you why this was such a good deal for them when they joined me the last time I made this offer as a last time opportunity to never be seen again because we’re all together on this fancy lifestyle of the rich and famous boat that will never stop by for you to get on again in your lifetime so you must act now and oh by the way if everything I’m telling you is not true you can always get a refund but only if you act now because if you don’t we’ll take away the secret that you can only get today … etc. … etc. … etc. … etc. … etc. … etc. NEWSFLASH . Only 7 seats left. I get multiples of these offers everyday and I’m guessing that you do to. It is a very prolific method of selling. Propositions like this play on all the emotions of human desires with emphasis on greed (a very powerful human urge). They must get a lot of takers because they never seem to go away. My 63 years have seen them repeated regularly. And, yes, I have bought into my share of them. If you really want to learn their “secrets”, take their FREE intro offers and NEVER buy into their system. 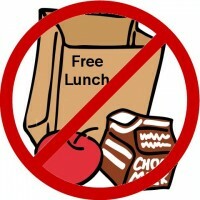 Watch and observe and eventually you will discover that there really is NO FREE LUNCH. 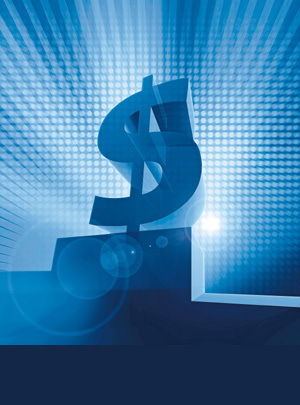 If you agree with me, spend $1 today for this Tele-Webcast that offers huge value for only $1. That’s almost free, isn’t it? Oh, and by the way, this is a limited time offer. You will learn something, probably be inspired, and entertained in an uplifting and motivational way. That’s not a bad thing. But, can you resist the up-sell? Ultimately, I want to help you learn how to master the art of selling so you can really get whatever you want. It is not easy. It takes time, determination, effort, and persistance. But, you will eventually understand that by helping others get what they want, you will get what you want, simply, honestly, and without guilt. Call me directly if you want to know more or review the services that I provide through SenseAble Selling. This entry was posted in Marketing and Advertising, Observations, Selling and tagged abundance, pitch, sell, Selling. Bookmark the permalink.